As their debut album turns 30, the Pet Shop Boys continue to forge forward with the irresistible dance-pop of their 13th studio album. 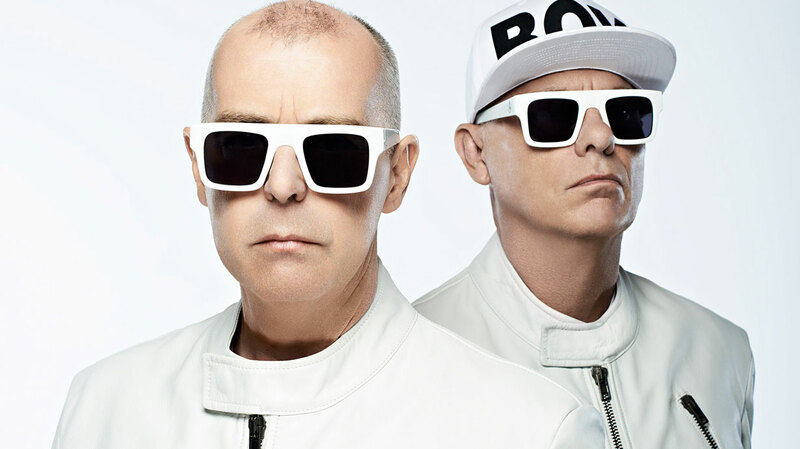 We sat down with Neil Tennant to discuss the Stuart Price-produced Super and to find out more about their forthcoming ‘Inner Sanctum’ tour. We didn’t realise “super” is a Latin word, is that right? It is originally, yes. The original inspiration was Chris’s idea, that having spent a lot of time in Germany, the Germans do say “ah, super”. It’s not a word we use so much in English. Also you can put super in front of loads of other words, like “super hit”, “super mix”. When it comes up in an email, you think, “Oh, that sounds good”. It’s a word that elevates up whatever it is you’re talking about. And you’re back working again with producer Stuart Price? Well, we made a random decision three years ago to do three albums with him, so this is the second one. It’s a development from the last one, which was super dance-y. This one is pretty dance-y as well, but it’s got some darker moments too. I can’t wait to perform ‘Inner Sanctum’. We might even start the show with it. It’s so uncompromisingly dance, and euphoric. Give us an idea of how Super sits with Electric: is there a theme? It’s produced by Stuart, so it’s got the same sort of energy and electronic soundscape, and it’s probably a bit more electronic than Electric. The vocal was very, very dance-y on this album. The first single off this album is ‘The Pop Kids’. Can you tell us more about it? How great, to have a song written about you by the Pet Shop Boys! Did you tell him? Well, I thought I should tell him just in case he thought we’d stolen part of his life. I think he was quite touched. What was your approach for this album? We went into our studio with Stuart, and we just went through all the songs and chose the ones that we all thought would make the best album. Not necessarily the best songs, but the songs that would fit together best. We didn’t choose songs that we felt were a bit too pop, or didn’t really fit into this concept of what Electric and Super are. When you’ve made the record, it’s always interesting what tracks people hit on, and sometimes that can surprise you. We’re just entering that phase now. 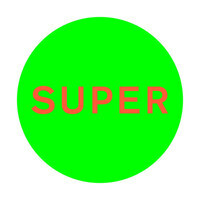 How have fans responded to Super so far? Over the last week or so we’ve had the Super campaign going – and people realised very quickly that it was something to do with us – and I think it is very nice to feel the excitement from people when you have a new album coming out. We’ve never done a campaign like this before, and there were many people actually looking forward to us putting out an album, which was a very nice, warm feeling. Do you find that, at this stage of your career, you’re making music for yourselves? All of our albums have been written for us, but sometimes you write something and you think, “This could be a single.” On the very rare occasions that you have to write a single – and it’s very difficult, and normally doesn’t succeed – is in the old days when you’d put out greatest hits albums, and you need a single. Along with the album there are going to be the ‘Inner Sanctum’ gigs at the Royal Opera House. Why did you choose that venue? We had a brief conversation with the Royal Opera House about putting on an electronic music festival here, but it was too complicated. Then they came back to us, and asked if we’d like to just do your concert here. We thought it was a great idea because it’s a real contrast with our style of music, in such a famous and cultural space. I think it’s also a theatre which a lot of our fans wouldn’t usually go to. Also, we’ve done a lot of theatrical stuff – we’ve done a musical, we’ve done a ballet, we’ve worked with theatre directors, we always work with a theatre designer and a choreographer, and they’re going to work with us on this – so it also fits in with some of the stuff we’ve done before. You must be excited about playing these songs live, right? On this album I can’t wait to perform ‘Inner Sanctum’. We might even start the show with it. It’s so uncompromisingly dance, and euphoric, plus we’ve named the show after it, so I think that’ll be a really great song to perform. So that’ll be the anthem of the night? Yes, but we’ll perform ‘Vocal’ off the last album because that’s the most anthemic thing we’ve done. Are there going to be any special guests on the ‘Inner Sanctum’ tour dates? We’ve just started to work on ideas for the show, so it’s too early to say. Do you ever get nervous before going on stage? This will be nerve-wracking, because this is the first time we perform this show, with no little warm-up gigs in far-off lands that no-one knows about. So the first time we perform will be the first time with an audience, so it will be a bit more nerve-wracking than usual performing in London. Any pre-stage rituals before you go on? I always wear a bit of make-up, and I wear it as a sort of armour! We always have stage clothes, and when you put these on it’s like getting into character. Do you have one particular track that’s your all-time favourite? I think on the last album, my favourite track of all-time was ‘Vocal’, which was a new song. We made the decision at the first concert of that tour, in Chile, to have that as the encore, which was a bit nerve-wracking, because no-one had heard it before. But everyone went mental, and it was great, it felt like a very powerful song. 2016 is the 30th anniversary of your debut album. Is it a milestone that you’ll be celebrating? Some of those older songs, if you put them out now they’d still go straight into the top 10. I don’t know about that! But I think the 30 years has passed very quickly.